After studying at Vietnam National Academy of Music since 1998 at age 13 in classes of Dr. Le Thi Ngoc Thanh and Asscociate Prof. Dr. (Artists of Merit) Luu Quang Minh, LUONG Hue Trinh received her Bachelor’s degree in Jazz Keyboard in 2010. In 2003, she was awarded as Exceptional Student by Yamaha Music Foundation, Japan. 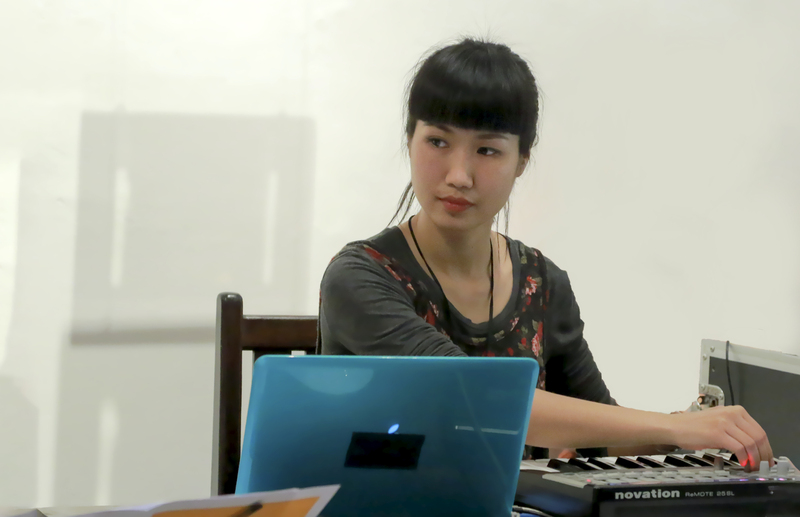 In 2010, she began to work in electroacoustic music under the guidance of Vietnamese composer SonX and was strongly influenced by his music. 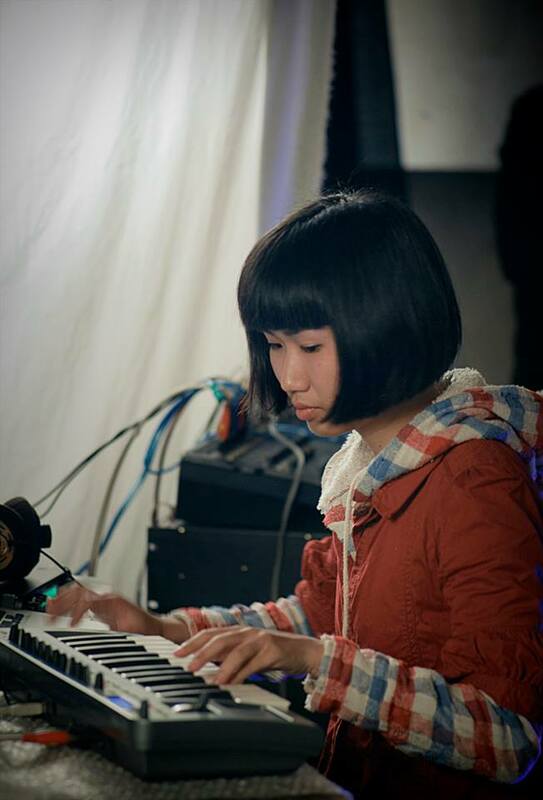 She participated shortly in the hub of experimental music Domdom in 2013. From 2015 to 2018, she got a full DAAD - German Academic Exchange Service scholarship for the program “New Technique in Composition” and then for the Master’s program in Multimedia Composition with Prof. Dr. Georg Hajdu and Prof. Elmar Lampson at Hochschule für Musik & Theater Hamburg. 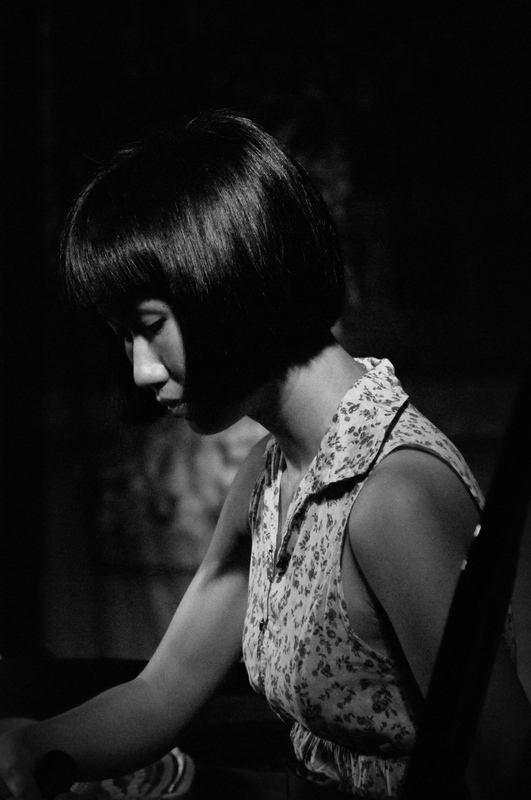 Her works were broadcast on radio in Thailand, India, Czech Republic, Australia, Scotland, England and highlighted as "Artist of the Month" on StillStream Radio, USA (2013). Her interview and music were on Norwegian Broadcasting Corporation (NRK) in 2014 & 2015. 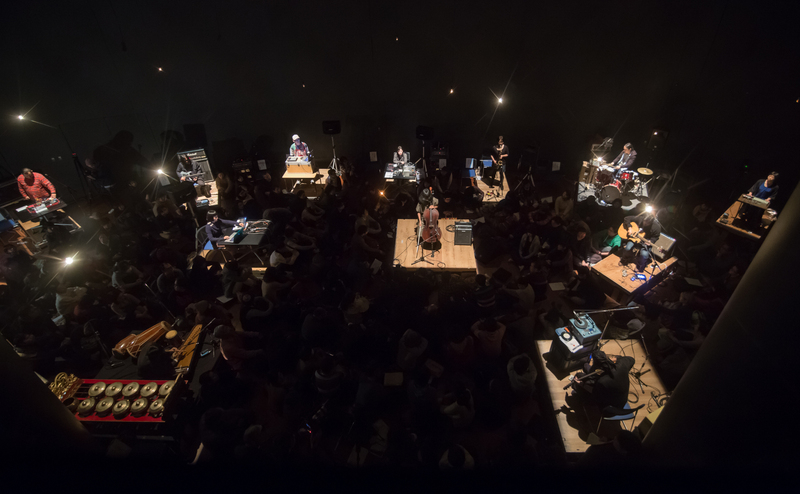 Her performance in Mikromusik Festival(2018) by Berliner Künstlerprogramm des DAAD and Humboldt Forum Foundation was on Deutschlandfunk Kultur, Germany. Besides that, Trinh got commissions for exhibitions: "Riverscapes IN FLUX"(2011-13) toured in five Southeast Asian countries by Goethe Institut/ "The Roving Eye - Contemporary Art from South-East Asia"(2014) Istanbul/ in the "SAVAKA Vol. 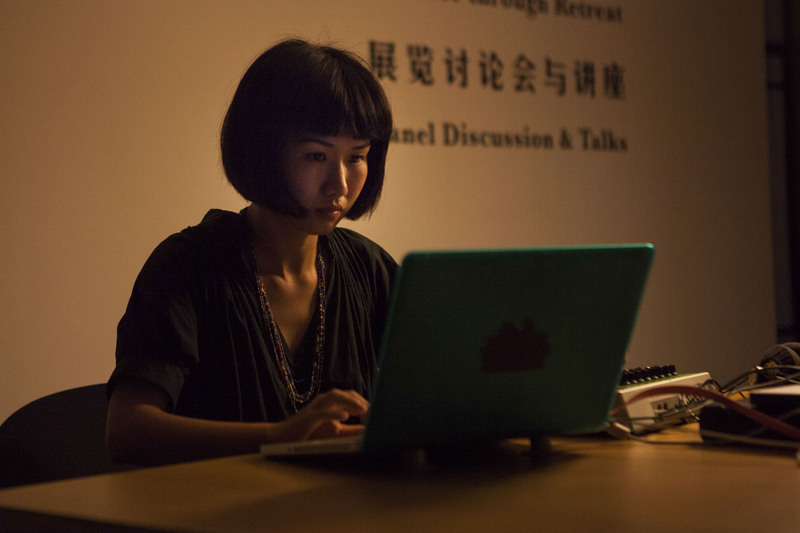 11- Asia Experimental Music Current Project – Artist of the Month"(July, 2014) for concerts and talks at Shanghai Rockbund Art Museum & Banye Art Hotel in Hangzhou/ as a creator in "Echoes"(2014)-a “geolocative” audio project in Hanoi-Copenhagen & workshop in Roskilde University. 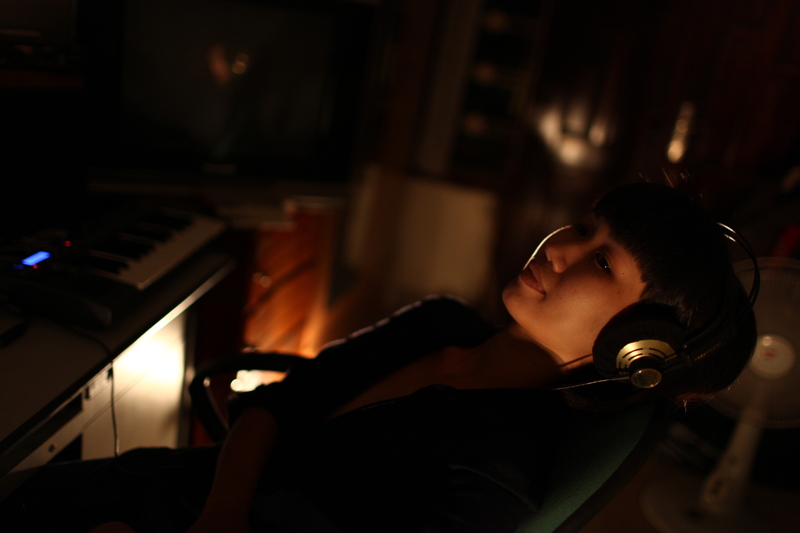 She made soundtracks for hand drawn animation film "Light-being" by Nguyen Hoang Giang & trailer of Mini DOCFEST(2014) Hanoi/ for a five-channel video "The Bridge 3"(2016) by Le Brothers/ the 13th SMC Conference 2016 - Sound & Music Computing, Hamburg/ in "Wenjack"(2016)-an audio book for disable people, by The National Network for Equitable Library Service (NNELS), Toronto/"Virtual Exhibition – OUA Electroacoustic Music Festival"(2017) at Osaka University of Art and in collaboration with director Tran Luc in the absurd play “The Bald Soprano” by Eugène Ionesco at L’Espace-Institut Françai Hanoi (2019). 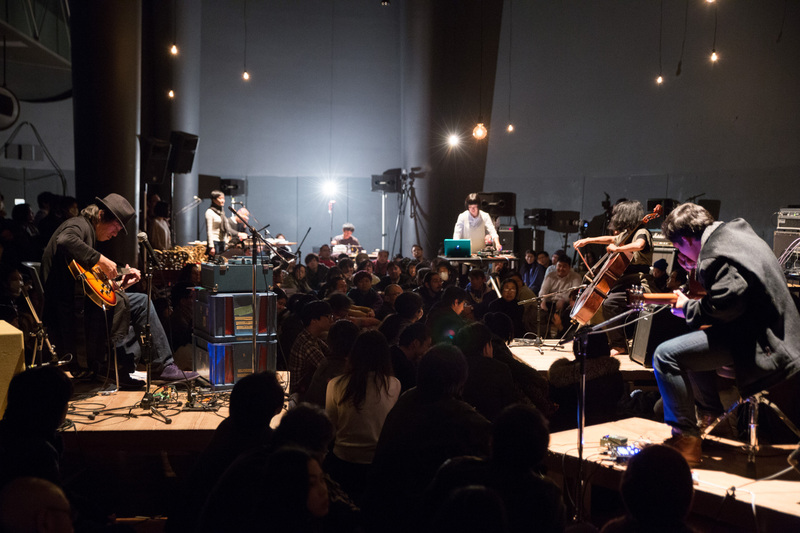 Trinh had live performances in following festivals/concerts: Hanoi Sound Stuff Festival(2010&11)/Hanoi New Music Festival(2013&18)/ Asian Meeting Festival(2015) Tokyo and Kyoto/ Punkt Festival(2015) Kristiansand, Norway/ Blurred Edges Festival(2016 & 17) Hamburg/ Project "Hanoi-Berlin Experimental Music Meeting" in Copenhagen Jazz Festival & in Berlin(2016)/ Opera "Dido & Aeneas"(2016) at Opera Stabile, Staatsoper Hamburg/Next Generation 7.0:SENSORIK Festival, ZKM Karlsruhe/ Concert tour of project "wESTAMAN"(2017) Southern Norway/ Concert "Vietnamese words and music"(2017) at Inter Arts Center-Malmö Academy of Music, Sweden/ "Portrait Concert: Luong Hue Trinh"(2017) in the 43th Lüneburg Neue Musik Festival, Germany/ G((o))ng Tomorrow Festival(2017) at Jazzhouse, Copenhagen/ Concert of Trio “Đ”(2017) at Inter Art Center, Malmö/ "STREAKS - Multimedia Concert by Luong Hue Trinh", Hamburg(2018)/ "ASEAN Youth Ensemble &International Conference MUSIC & METAMORPHOSIS"(2018) Bangkok/Ultima Oslo Contemporary Music Festival(2018). Her pieces were in the compilation "Art of The Muses"(2012),featuring 10 female composers from Far East Asia published by label Syrphe/ album "Synthesis Vol. 1"(2014,) containing sound works by international female composers by Urban Arts Berlin. "Illusions" – her first album was released by label Pan y Rosas, Chicago. It had a review and was on the list of the "Best of 2016 – Albums of The Year" by Avant Music News, San Francisco, USA. “Mater Materia” (2017) Fixed Media for the opera “Mater Materia” by Maurice Lenhard. Duration: 10’ Premiered at Theater Quartier – Theaterakademie Hamburg, Germany. Commissioned by Maurice Lenhard. “Behind The Mirror 2” (2017) for fretless e-guitar, trombone, fixed media, live electronics & video. Duration: 9’ Premiered at MS Stubnitz in Blurred Edges festival, Hamburg, Germany. Performance in Portrait Concert: Luong, Hue Trinh in the 43th Neue Musik Festival, at Glockenhaus, Lüneburg, Germany. “wESTAMAN” (2017) with Bjorn Charles Dreyer, Jonas Barsten, Ricardo Del Pozo, Mohamed Issa Matona. Live performance with electronics, e-guitar/electronics, drums/electronics, oud/violin/vocal and live video for wESTAMAN project. Toured in Vågsbygd videregående skole (music college), Kvadraturen videregående skole (college), Agder Folkehøyskole (folk university college), Flekkefjord videregående skole (college), Tangen videregående skole (college). Commissioned by wESTAMAN project. “Duo” (2016) with Boris Baltschun. Live electronics for two laptops for Hanoi-Berlin Experimental Music Meeting Project. Premiered at Acker Stadt Plast, Berlin. Germany. “Behind The Mirror” (2016) for fretless e-guitar, fixed media and video. Duration: 9’ Premiered at Hamburg University of Music & Theatre. Performances in Portrait Concert: Luong, Hue Trinh in the 43th Neue Musik Festival, at Glockenhaus, Lüneburg, Germany. Festival Next Generation 7.0:SENSORIK - Internationales Treffen Elektronischer Hochschulstudios 2017 at ZKM - Center for New Art & Media, Karlsruhe, Germany. Connecting Northen Dots Concert, Musikhochschule Bremen, Germany. Vietnamese Words and Music Concert at Inter Arts Center, Malmö, Sweden. 42th Lüneburg Neue Musik Festival at Glockenhaus, Germany. “The Bridge 3” (2016) Soundtrack for the three channels video “The Bridge 3” by Le Brothers. Duration: 12’22 Premiered and commissioned by Goethe Institut Hanoi, Vietnam. “Illusions” (2016) Fixed Media & video. Duration: 13’31 Premiered at Vietnam Universiy of Fine Art, Hanoi. Performances at Hamburg University of Music & Theatre, Germany. Portrait Concert: Luong, Hue Trinh in the 43th Neue Musik Festival at Glockenhaus, Lüneburg, Germany. Vietnamese Words and Music Concert at Inter Arts Center, Malmö, Sweden. Blurred Edges Festival at the Hamburg University of Applied Sciences, Germany. 13th SMC Conference 2016 - Sound & Music Computing, Hamburg, Germany. Commissioned by JSC Film I; Vietnam Ministry of Culture, Sport and Tourism. “Broken Legend” (2015) in collaboration with composer SonX. Fixed media, live electronics and one percussionist for Punkt Festival. Duration: 15’ 52 Premiered at Kristiansand Kino, Kristiansand, Norway. Commissioned by Punkt Festival. “Reflection” (2015) for live electronics, dan Tranh and guitar. Premiered at Institut Français de Hanoï, Vietnam. Commisioned by DomDom Center. 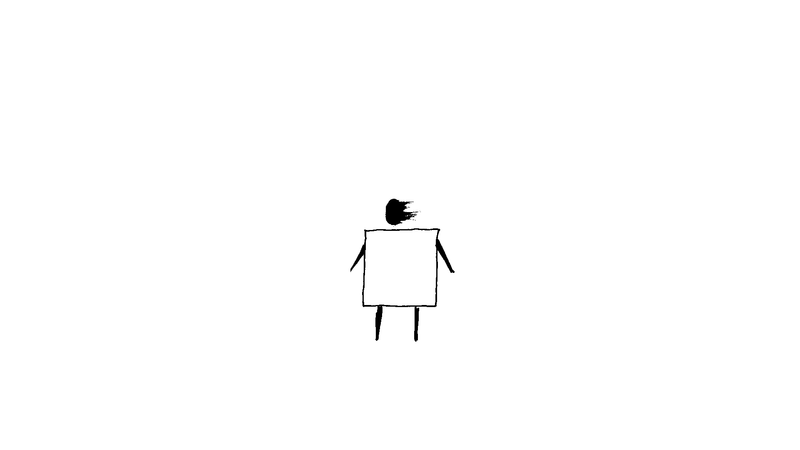 “An Nhien (Light-being)” (2014) Soundtrack for a hand drawn animation by Nguyen Hoang Giang in the “Mini DOCFEST 2014” and trailer for the festival. Duration: 3’22 Premiered at Goethe Institut Hanoi, Vietnam. Commissioned by film-maker Nguyen Hoang Giang. “Porous Borders” (2014) in collaboration with composer SonX. Sound installation for “The Rolving Eye Exhibition – Contemporary Art from South East Asia”. Duration: free Premiered and commissioned by the ARTER/Space for Art, Istanbul, Turkey. “Black Moon” (2014) Fixed Media for the “Asia Experimental Music Current Project/Artist of the Month, July”. Duration: 18’ Premiered at Shanghai Rockbund Art Museum; Banye Art Hotel, Hang zhou, China. Commissioned by Shanghai Rockbund Art Museum. “Tò Vò” (2013) Fixed Media. Duration: 10’ Premiered at Hanoi Rock City, Vietnam. In the album “Synthesis Vol. 1” (2014)– a compilation of sound works by female composers in the world, published by Urban Arts Berlin, Germany. “The sound we see: A Hanoi City Symphony” (2012) with artist Tri Minh. for two electronics, trumpet, e-guitar and dan tranh for the silent super-8 film project. Commissioned by Hanoi Doclab, Vietnam and Echo Park Film Center, Los Angeles, USA. Premiered at Goethe Institute Hanoi, Vietnam. “Return” (2012) Fixed media for exhibition “Living Jewels”, alongside with the installation “The Rain” by Bopha Xarigia Le Huy Hoang. Duration: 14’40 Premiered at Hanoi University of Science – Vietnam National University. Commissioned by Davines Hair Company. “Black Circle” (2011-13) Fixed media & installation for exhibition “Riverscapes IN FLUX”. Duration: 16’ Premiered at The Vietnam Fine Arts Museum, Hanoi. Exhibited in Ho Chi Minh City-Vietnam, Yogyakarta-Indonesia, Bangkok-Thailand, Phnom Penh-Cambodia, Manila-Philippines. Commissioned by Goethe Institut Hanoi, Vietnam. “Love of a little girl” (2011) Live Electronics Duration: 15’20 Premiered at Hanoi Soundstuff Festival. “Sleep-walking” (2010) Live Electronics Duration: 21’20 Premiered at Hanoi Soundstuff Festival. Return Ihr Browser kann dieses Tondokument nicht wiedergeben. Return II Ihr Browser kann dieses Tondokument nicht wiedergeben. Black Circle Ihr Browser kann dieses Tondokument nicht wiedergeben. Mater Materia Ihr Browser kann dieses Tondokument nicht wiedergeben. To Vo Ihr Browser kann dieses Tondokument nicht wiedergeben. 27.04.2019 at 20:00 #Blind Signal Vietnam - Germany @Goethe-Institut Hanoi, 58 Nguyen Thai Hoc. 20.04.2019 at 12:30-14:30: #Workshop/Luong Hue Trinh - In the middle of borders in the project Blind Signal Vietnam-Germany @Hanoi Rock City, 27/52 To Ngoc Van, Hanoi. 21.04.2019 at 20:00: "JiJi" for đàn Tranh, flute/picollo, bass clarinet, violin, cello, tape and video in #Concert The Poetry of the Moon with Hanoi New Music Ensemble and conductor Jeff Von Der Schmidt @Goethe-Institut Hanoi, 56-60 Nguyen Thai Hoc, Hanoi. 26.04.2019 at 19:00: world premiere of "Móng Hường/Scarlet Nails" for đàn Tranh and electronics in the Intonal Festival @Inter Arts Center, Red Room, Bergsgatan 29, 214 22 Malmö, Sweden. 27.04.2019 at 20:00: #Concert: Blind Signal Vietnam-Germany "Đoàn" @Goethe-Institut Hanoi, 56-60 Nguyen Thai Hoc, Hanoi. 06.07.2019 at 20:00: #Concert Blurred Boundary for music and video @Institut Francais de Hanoi - L'Espace, 24 Trang Tien, Hanoi. The content of this website is protected by international copyright laws. The content of this site may not be used for reproduction in any form or for transmission, multiplication and publication by electronic mediums without the express written permission of the NAME , unless otherwise stated. The website contains links to external websites. We do not accept any responsibility for the contents and data copyright policies of external websites, as this lies beyond our jurisdiction and influence. All links have been carefully examined, and do not pose any legal or ethical issues at the time of publishing. This contents of the website reflect the ongoing nature of a continuous working process. I cannot guarantee the actuality, quality, correctness or completeness of the information contained on our web pages, although utmost care has been taken with the selection of included content. No liability claims can be made against me, relating to damages of material or ideological claims caused by the use or misuse of the presented information or by faulty and incomplete information.